Any plastic bag you get from the grocery store should never be tossed out. These can be reused at that same grocery store or for your own garbage. There also very handy for picking up dog mess. The worst thing that could go into a landfill are batteries. When they start decomposing all those toxic materials can be released into the soil. The more batteries you can keep out of a landfill the better off you are. That is why you should invest in rechargeable batteries. The goal is to always have fresh batteries charged in order to replace those that are depleted. You should check with your kid school to see if they have a recycling program. If not, then it becomes a great project for your child’s class. Just think of how much paper and plastic can be recycled in one day at a school. If you’re not buying recycled products then you’re cutting off a major source for recyclables. Any product made with recycled material will have the recycle logo on it. If it doesn’t you could drop an email to the company and asked them why they aren’t using recycled materials. Doesn’t take much time! If you garden, then you know how important fertilizer is. You could be making your own organic fertilizer by composting your kitchen scraps. This is a bin you’ll set up in the backyard that is easy to build and maintain. Just don’t forget the worms! Before you toss out any old sheet, towel or T-shirt consider using it as a rag around the house. They can also be donated to animal shelters to be used for betting and cleaning materials. There may be some big items around the house that you want to get rid of that are taking up valuable space in your garage or basement. A lot of that can also be recycled if you work with the right company. That company would be Junk King Birmingham. These green junk haulers have adopted an eco-friendly approach to junk disposal that involves working partnerships with many recycling facilities throughout the Birmingham area. 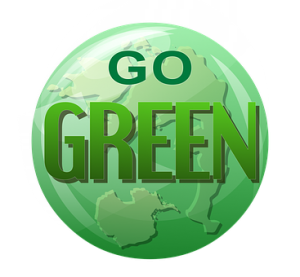 Junk King Birmingham is the best partner to boost your home recycling program. This entry was posted in Birmingham Junk Removal and tagged Junk King Birmingham, recycling on August 27, 2017 by Junk King. Last updated August 27, 2017 .